It the morning of May 19, 1836, less than three weeks after Sam Houston destroyed Santa Anna's army at the battle of San Jacinto over on the Brazos River. While the rest of Texas celebrated its freedom, the inhabitants of Parker fort worked outside the stockade. The men looked up when a mixed band of Indians rode causally near the fort and dismounted. Several warriors walked unarmed toward several men and women busy working their gardens outside the gate. With shocking ease, the warriors killed the adult Parker men starting with the elders who walked forward holding out their empty hands in a sign of friendship. The warriors captured all the children and women they could catch. One of the captives herded north after the raid was a nine year old girl named Cynthia Ann, daughter of Silas Mercer Parker and Lucinda Ann. In her presence, the warriors killed Silas and her uncles John and Benjamin Parker. Her grandfather John Parker had been one of those who walked foreword with his hands outstretched. Surprisingly, the raiding party included only a few Comanches, perhaps only one or two Penetekas. The raiders were primarily Wichitas, the warrior band of the generally sedentary Caddoes, most of whom lived in beehive-shaped grass huts. Ohter tribes were represented as well, perhaps Wacoes and Keechis. Cynthia Ann’s three-year-old brother, Silas Mercer Parker, Jr. was captured as were her mother, Lucy Duty Parker, her baby sister Orlena Parker. The baby was four months old. Cynthia Ann’s 46 year-old aunt Phoebe Hassell and Phoebe’s year-old baby daughter Sally were forced along as the warriors headed back north. Little Sally would not stop crying and the warriors killed the baby by smashing its head against a tree. Over the next six years, the Parker family managed to ransom all of the surviving women and children except Cynthia Ann. One of the elders of the family, Cynthia’s uncle Isaac Parker, crusaded continually among the Texas authorities for the girl’s return, never letting her capture fade from public consciousness. Speaking often to members of the congress of the Texas Republic, Isaac asked for Ranger companies to be formed and sent out into the frontier and for monetary rewards to be raised for her safe rescue. Ultimately the government created a handsome reward for her recovery. Isaac traveled up and down the Texas frontier, advertising his niece’s plight, speaking to church, lodge, and school meetings. Cynthia Ann became a frontier cause celebe. Meanwhile, Cynthia Ann had been sold to a Comanche family who lived in the Texas Panhandle. The band to which she belonged lived far out into the unknown vastness of the Llano Estacado. Although she was beaten at first and treated like a slave for a while, the couple that purchased her fell in love with the child calling her Nadauh. A few weeks after becoming part of the family, Cynthia Ann was a permanent member of the Tenewa Plains Comanches. In 1840, a New Mexican Comanchero trader camped with the Tenewa Comanches somewhere out in the Texas Panhandle. While he traded for buffalo skins and hides, he noticed a young white girl among the Comanches. Cynthia Ann would have been 13 at the time. She was properly dressed as a band female and acted completely at home. Alert to the reward that the Texan Isaac Parker had advertised, the man attempted to discover if she was in fact the girl, Cynthia Ann Parker. The trader broke out his best items and offered them to the headman for a trade. The chief scorned the offer. Eventually, for a portion of the trade items, the chief agreed to permit him to approach her. The young woman turned away when he spoke to her and refused to talk. She refused all gifts. When the trader returned to his town at Loma Parda, he spread the story of the white girl living among the Comanches, which soon reached the ears of the authorities. An article appeared in a Texas newspaper on April 29, 1846, which described a visit by Col. Leonard G. Williams' trading party with a band of Tenewa Comanches. These Comanches were camped on the Canadian River. Williams saw a young woman, she would have been 19, and married. He thought she could be Cynthia Ann. The tribal elders refused all Williams offers and the woman refused to speak English. A year later, federal officials P. M. Butler and M. G. Lewis ventured into Western Indian Territory and met with the Yamparika Comanches who were camped on the Washita River. Here again, the men encountered a young woman, she was age 20 by then, they thought might be the famous Cynthia Ann. Again she turned away and the elders would not accept gifts in exchange for her. In 1848, the Indian Agent for Northern Texas, Robert S. Neighbors was told that Cynthia Ann had married a warrior from the Tenawa band. Comanches living on the Upper Reservation at Camp Cooper told him that she had a family and would never leave her husband. 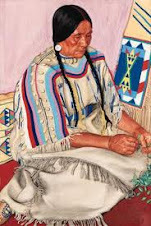 Her husband was Peta Nocona, a rising young warrior who gained fame for his raids on white settlements. About 1841 when she was 16 years old, Cynthia Ann gave birth to her first child. She named him privately Quanah, meaning “Fragrant” (or Stinky, Smelly). Quanah was destined to rise to the top of the Comanche world. 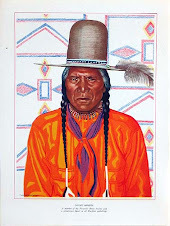 He is remembered as one of the last great fighting warriors of the Quahada Comanches and later, head chief of all reservation Comanches in Indian Territory. Along the frontier of Texas for 24 years, the name “Cynthia Ann Parker” rang like a saber striking steel. Her uncle Isaac Parker never rested, nor would he let the legislators in Austin forget that his niece, one of the original daughters of Texas (she was born in Illinois) remained a prisoner of the Indians. A stalwart born-again primitive Baptist, Isaac Parker's persistent and dramatic pleas for the safe return of his niece disturbed the sleep of the authorities along the frontier until the very eve of the Civil War. In 1860, a double murder on the frontier attributed to Comanches stirred the Texas government to authorize a Ranger Company for the second time in three years. The previous coming after the murders of two families, probably by whites dressed as Indians. (see the Dear Chum Letter and battle of Antelope Hills). 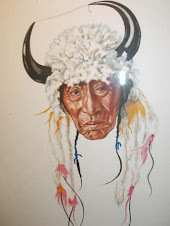 Toward the end of November, Comanche or Kiowa warriors attacked and killed a rancher, stole his horse herd then tortured and killed and a neighboring rancher’s wife. This time there was no doubt that Native Americans were the perpetrators. The crimes occurred in northern Palo Pinto County, only a few miles west of Parker County. Ironically, the latter is named for Isaac Parker, Cynthia Ann’s persistent uncle. It had been over 24 years since Cynthia Ann was dragged screaming away from her father’s home in Limestone County. It was cold when Palo Pinto Sheriff John Nathan Hittson and the other settlers in the frontier county first heard the reports. At ten o’clock in the morning, 46 year-old John Brown, his nearest neighbor was the famous cattlemen Oliver Loving to the west and Charles Goodnight to the east, was riding across his pasture near Keechi Creek to gather his cattle. Suddenly up from the banks where they were hiding, a war party of Kiowas and Comanches raced out of the underbrush and surrounded the man. After a brief scuffle, a warrior knocked Brown off his horse and leaped on him, cutting Brown's scalp while he was still alive and stabbing him in the back and sides. Brown’s hair was left the area attached to the warrior’s saddle. Brown's body was left in the deep grass while the half-dozen members of the raiding party drove Brown's horse together with 20 other horses they collected earlier across the creek. They headed north toward their camp. Ahead were other ranches. Moving stealthily along the Keechi Creek branches, the warriors took Thompson's horses directly north of Brown's range. About noon the raiding party approached the Sherman farm in the extreme north of Palo Pinto County. Attracted by smoke coming from the ranch house chimney, the warriors dismounted and one man guarded the horses while the rest surrounded the house. The leader simply opened the door and walked inside. The Sherman family, father, mother and two children, were seated at the noon meal before a food-covered table. They froze in their seats. One warrior grabbed the father by his hair and jerked him out of his seat flinging him to the floor. In seconds other warriors pulled the family members from their seats and took their places at the table. The hungry Indians ignored the family as they ate the food. Mr. Sherman, his wife and children crept to the door and slipped outside. The Comanches guarding the horses outside eyed them but did nothing as the family walked down the road. As soon as the warriors finished the meal, they began ransacking and destroying the house. One warrior discovered a large family Bible and held it up in triumph. To the Comanches, books were highly prized because they could be used as stuffing material for the inside of their war-shields. When the leader of the war party came outside he looked for the family and sent the horse holders after the Sherman family. Catching up with the family on the road, a warrior grabbed Mrs. Sherman by her hair and dragged her up over his horse. The father tried to save his children and herded them into deep underbrush. The screams of Mrs. Sherman could be heard for a long while. Mr. Sherman ran frantically toward his nearest neighbor, miles away. It took several hours for Sherman to reach a house. Leaving the children he borrowed a horse and raced to town. Hearing Sherman’s report, sheriff Hittson and deputy James Hamilton Baker recruited a group of armed townsmen and rode north toward the Sherman family farm. At the Sherman farmhouse, Hittson's posse found the building torn apart, ransacked and all contents destroyed. After a cursory look around the yard, the posse headed north, trailing the war party. They estimated about seven warriors. The large horse herd they had gathered made the trail easy to follow. A mile along the trail, Hittson and the men found Mrs. Sherman’s body lying in a field. She had been sexually abused, scalped and nearly killed, but was breathing. Her body was severely bruised; her clothing torn off, her body covered with blood from several knife wounds. Two arrows protruded from her breast. Around her body lay dozens of pages torn from the family Bible. Hittson detailed two men to remove the arrows, bandage her wounds and cover her with a blanket. They carried her back to town while the posse continued to track the warriors. The next day, when the men’s horses gave out, Hittson led the posse back to town. Mrs. Sherman lived four days before she died. Neither Hittson nor James H. Baker, who kept a detailed diary of the event, ever mentioned the incident in writing again. Like the Cambren-Harris murders three years earlier, the horrible fate of Mrs. Sherman aroused the entire frontier of Northwest Texas. From the sheriff’s office in Palo Pinto, Hittson sent messengers to spread the word about the attacks to Fort Worth and Dallas to Austin. Within the cultural framework of the Texas frontier, Indians were usually defamed as “horse-thieving” and “murderous.” Now they were seen as violators of both the most sacred Christian book and white womanhood itself. In the village of Palo Pinto, Weatherford and other towns, militia representatives gathered cursing the existence of "God-less heathens" beyond the frontier. Hittson and Baker wrote an appeal to the Governor at Austin pleading for armed assistance and protection. They demanded a Ranger company be formed and permanently stationed in Palo Pinto County. The local militia captain, Jack Cureton, called out his followers and formed what he called “The Palo Pinto Cavalry.” Within a few days, nearly 100 able-bodied men camped in and around the county seat awaiting word from the state governor. Hittson and his brother joined the force along with almost every man and older boy in the county who could carry a musket. Meanwhile Hittson and most settlers moved their families from their outlying farms to town. 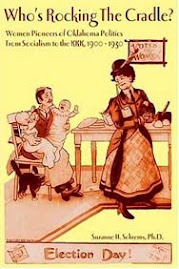 Hittson’s wife Selena was pregnant with Martha Jane, their third child. His other two children, grandfather Jesse Hittson and grandmother Mary Ann were lodged in the hotel. Sheriff Hittson and his deputy became common soldiers, subordinating themselves to the militia leadership. Cureton was an established leader, having frontline experience under Colonel Archibald Yell in the Mexican War. The stores in town relinquished their best horses, rifles, pistols and other equipment that was available. Merchants in Fort Worth and Dallas sent wagonloads of weapons and supplies to the men. After a week, word arrived that Lawrence Sullivan “Sul” Ross had been commissioned by the governor to recruit and outfit a Ranger Company, but not in Palo Pinto, in Fort Worth, Tarrant County. Ross was specifically ordered to pursue the Comanches. Ross soon appeared in Palo Pinto and asked the militia there to join him. They agreed. He then ordered scouts Benjamin Dragoo and three other men to ride north beyond the Trinity River to scout the land south of Indian Territory. They were to search the frontier until they found the Indians' trail. Despite the rush, it was nearly three weeks before the force was ready. By the time the Ranger Company was formed and joined the militia at Palo Pinto, it was the second week of December. A bitterly cold north wind blew through Texas from Canada. On December 14, 1860, three columns of armed men left Palo Pinto and headed north for a crossing of the Brazos River. Sul Ross' Texas Rangers consisted of 27 men and a detachment of 18 soldiers from the United States 2nd Dragoons. Lieutenant Colonel Robert E. Lee had ordered them to leave Camp Cooper for the expedition. First Sergeant John W. Spangler was in charge of the Dragoons. In the rear rode the rag-tag Cureton militia, which numbered perhaps a hundred men. The force, with difficulty, forded the Brazos and in two days reached the West Branch of the Trinity River where they halted. On trees on the banks of river, Dragoo and his scouts had left markings showing they progress and the way they had gone. In the bitter cold winds, several older militiamen and even some of the robust young Rangers fell behind. Ross never faltered and with most of his men and the Dragoons he continued pressing on in forced marches. By the time Dragoo’s men reported Indians sign, many of the militia had been forced to walk their horses that had become exhausted and were broken down. By December 17, the Rangers and Dragoons were camping each night about three miles north of the struggling militia. At dawn, December 18, fresh and frigid North winds whipped across the prairie as Ross led the Rangers and First Sergeant Spangler's men out of the scrub trees onto a broad, flat field of dead grass that stretched for miles, broken only by a scattering of small hills. Baker wrote in his diary that when they reached the open plain, he estimated they were about 70 miles north and west of Palo Pinto. While the Rangers broke camp that morning, Cureton’s militia stayed in camp. One of the men, James Chick, had lost his horse in the night and headed out on foot trying to catch the elusive animal. Rather than to summarily abandon their neighbor to the mercies of the enemy, Cureton called for a vote. The company largely voted to wait for Chick to return. By eight or nine o’clock, Ross’s force was a dozen miles north of the militiamen and had completely lost contact with them. Ross and his lieutenants approached a series of cedar-covered mountains at the headwaters of Pease River. Riding to the crest of a hill, Ross halted the column and motioned for his men to join him in scanning the river below. The Rangers immediately spotted several small groups of individuals moving near the river a mile or so away. Ross claimed he recognized them instantly as a Comanche war party. All the other men agreed the scattered groups were indeed Indians. The Rangers noted some were mounting horses with travois dragging behind. Others were loading equipment and taking down tepees. Several fully loaded horses moved slowly across the prairie. Ross decided the Comanche village was in the process of moving. He instantly called for the Rangers to come forward on line. The Rangers with Dragoons following behind, pulled out their pistols and at Ross’s command, charged on a dead run down the hill. Individual Rangers began shooting at the winter-clad Indians at a fairly long range. These turned out to be mostly women and children. Several women tried to escape by cutting loose their travois poles, dumping their packs on the ground, which helped them race away. Frantic children on ponies dashed away in several directions. The Ranger line fragmented, men chasing individual Indians this way and that. Finally, it became individual Rangers following single mounted Indians. In only a minute, every Ranger lost sight of every other Ranger. Spangler held up the Dragoons near the abandoned camp and sent his men to capture the Comanche’s horse herd. After twenty minutes, a majority of Ross' Rangers returned to the site of the initial attack. Most came back empty handed. A few Rangers joined the dragoons in controlling the horse herd, about 350 horses, which was not large by Comanche standards. Ranger Private Charles Goodnight, Private George Lemely, Private Christopher Columbus “Lum” Slaughter and Private Christpher “Kit” L. Carter gathered near the herd. They looked around, talking and joking. Where, one asked, were the officers? At that moment, Captain Ross, Lieutenant Tom Killiher, and Lieutenant Somerville were in heated chases after two well-mounted Comanche warriors. Ross shot at his well-dressed warrior-chief who fell from his horse. As Ross was finishing the warrior, Killiher ran by chasing another warrior. Ross got on his horse and followed. After a long run Ross got close enough to fire his pistol at the bulky-looking Comanche. To his surprise, a body fell off the pony but left another rider. Ross realized he had shot a woman riding behind a warrior. Ross rejoined the chase and fired several more shots. One or two struck the Comanche's horse, which slowed and began staggering. The warrior leaped clear as the pony fell and he rolled across the prairie to avoid being shot. The Indian came up firing arrows at Ross. Dancing his horse from side to side to avoid the missiles, Ross nearly fell off when an arrow struck his horse in the side. Stung, the animal began bucking and pitching, making it impossible for Ross to do anything but hold on. Running forward at Ross’ horse, the Indian grabbed the reins and attempted to stab the Ranger captain with an arrow pulled from his sheath. Desperately firing his pistol over his horse's head, Ross luckily hit the warrior in the chest. Blood flowing, the warrior dropped the arrow, turned deliberately away and walked to his fallen horse where he knelt down singing his death song. Martinez, Ross' interpreter, rode up to his captain at this juncture. While Ross tended to his injured horse, he motioned toward the Comanche and asked Martinez to ask him to surrender. The Comanche spit and then continued singing. Ross reloaded his pistol. Walking toward the Indian, he killed him with one shot. Ross took a shield, quiver, lance and head-dress from the Indian's body. Ross later claimed the Comanche’s name was Mohee. Ross and Martinez rode together back toward the initial attack. As they approached the captured horse herd, Ross saw that the Rangers had several captives, including "a small Comanche boy who had been picked up … by Lieutenant Sublet." Ross, "fearing that he (the boy) might be killed by some of the more reckless men, I took him up behind me and carried him back." Ross rode to where Goodnight and the other Rangers had gathered. Killiher returned about the same time with a captive Indian woman who had a baby strapped on her back. Killiher was, "bitterly cursing his luck for having run his favorite horse so far and so hard just to catch an old squaw." Ross thought little of the captives at the time. He called the captive boy "Pease" and arranged with the Rangers to have him taken to his ranch in Waco. Meanwhile Cureton's volunteers suffered the rewards of an undisciplined army in the presence of combat. Everything went wrong. Chick found his horse but as soon as the men headed north toward the sounds of battle, Cureton discovered his pack drivers had abandoned their packs. These were vital supplies. The pack drivers were afraid they would be left behind as easy prey to the fearful Comanches. Cureton ordered the column to wait while the packers went back and recovered the supplies. Lieutenant Saunders made sure the muleskinners recovered all the packs. Not until late in the afternoon did the militia reach the Pease River near where the attack had been joined. As the men rode and walked along the riverbank, they met the Rangers, Ross leading, riding triumphal back south on the opposite side. Hittson's deputy, James Baker, noted the event in his diary. "We were soon together and he (Ross) told us that they had overtaken a band of 15 Indians, had killed 12 of them and taken prisoners." When they reached the scene Baker noted a much less heroic picture than had been described by Ross and the Rangers. We found only four dead Indians, all squaws. There were many packs strewn on the prairie for a distance of 2 or 3 miles, with a large amount of dried beef and buffalo meat, buffalo skins, camp accouterments, ... The prisoners are a woman, a little girl and a boy about 10 years old. According to Baker, the identity of the captured woman was of no importance. All the men assumed her to be a Comanche. Later that evening after camp had been made and fires built, Baker and some of the other men looked her over carefully as they ate their evening meal. Baker wrote in his diary. The woman is of white parentage ... looks just like an Indian, except that she has blue eyes ... the bucks pushed them (she and her baby) off and rode away ... she cried `Dont shoot, me Mericana.' The man closest to her saw that her eyes were blue and spared her. Tonight as we sat about the camp fire, a discussion arose as to her identity, and in the course of the talk, some one remarked that years ago a family by the name of Parker had been killed where Parker Co. is now [sic], and a child Cynthia Ann Parker had been carried off. At once the woman spoke up and said, `Me Cynthia Ann.' So we have decided that the long lost Cynthia Ann Parker has been recaptured. The next day dawned cold as usual. Ross led the Rangers toward Camp Cooper with the prisoners and the captured horses. The militia trailed along, disgruntled and angry. Not only had the rangers exaggerated the nature of the fight, but they also claimed the entire captured pony herd for themselves. They refused even to loan the dismounted militiamen a pony to ride home. From that time on, the Palo Pinto militiamen viewed all Rangers with suspicion. They spread tales of them being, at worst liars and at best, greedy opportunists. The Dragoons fared no better in the eyes of the settlers. Baker wrote. Sergeant Spangler ... reported that his men killed a party of 7 Indians who ran in a different direction from where Ross and his men were engaged. We found only one killed at the place he designated, but we found the trail of 6 leaving this place, hence we concluded that Spangler lied and let his Indians get away. 7 all todl [sic], 4 squaws, and 3 bucks are all of the dead Indians we have found. At Camp Cooper, rancher George Evans’ wife was asked to care for the woman and her infant. A message was sent to Fort Worth to notify Isaac Parker. After 24 years of searching, the Rangers proudly declared Cynthia Ann had been recovered. In time, she was sent to Isaac, her uncles’ farm to live. Of course, no one ever asked Cynthia Ann what she wanted. Isaac had to watch her carefully as he discovered the woman would do practically anything to return to her Comanche family. Her desires in the matter were never seriously considered, however, her happiness a casualty of the fierce contest between the two opposing cultures. The recovery of Cynthia Ann Parker restored the honor of Texas and boosted the morale of the settlers in the frontier counties. The Comanches responded to the loss of Cynthia Ann by increasing their raids. Within days of the Pease River fight, a series of warrior assaults struck at towns, one notably putting the village of Palo Pinto under an all-night siege. Hittson organize the townspeople to provide round-the-clock protection for the town day and night. Everyone boarded up his house, groups men took turns standing guard. It is thought that Cynthia Ann's husband, Peta Nokona, led raids into Palo Pinto County and on the surrounding settlements of Jacksborough and Fort Belknap for the next several months. That winter proved one of the most deadly and intense of the long history of the Comanche-Texan conflict. Peta Nokona, or Petsa-no-ko-ni as the Kiowas knew him, never rose to the status of a great chief but remained a warrior-leader. Even before Cureton's militiamen were able to return to their homes, Nocona's raids struck. Angry over the killing of their wives and relatives, the revenge-minded Comanches attacked and killed Palo Pinto settler Gholston Flahegin on New Years Eve night. During the first week of 1861, Indians severely wounded a young boy named Smith on Leon Creek north of Weatherford in Parker County. During the same attack Indian arrows severely wounded Mrs. Coin and Mr. Brannon of Young County. Through the spring and summer the raids continued without letup. The Indian raids caused the town of Palo Pinto to organize an "internal" Ranger company. Though some grumbled, Hittson and others voted to elect 19 year-old Ranger Private C.C. “Lum” Slaughter as captain of the local rangers. Peta Nokona concentrated on raiding Palo Pinto for two years. In 1863, he was severely wounded in a raid and died somewhere in North Texas. After that, the Comanches do not mention his name again. One direct result of the Comanche and Kiowa raids during this period, which included the first years of American Civil War, was that the population of all the outlying frontier counties fell dramatically. In at least five of the counties around Palo Pinto, the local county governments ceased to exist, dissolved for lack of citizens. Ten years after the Pease River fight; the population of the counties around Palo Pinto was thousands less than it had been in the summer of 1860. It would take more than twenty years before the frontier population recovered to what it was when Cynthia Ann was recaptured. The Texas legislature debated the future of the woman. Concerned that she, a Texas legend, seemed unhappy and destitute, the congress granted her a pension on April 8, 1861. She got $100 a year for five years and was presented a league of land. A league was over 4,000 acres but to obtain title required expensive legal and surveying work. Isaac Parker took Cynthia Ann and her baby to his home west of Fort Worth where she moved into a room in his cabin. Years passed and she never learned to speak English nor did she respond pleas to rejoin the Parker family. Lonely, unable to adapt, she never stopped mourning her separation from her husband and her two sons. The Civil War years were especially disease prone along the frontier of Texas. On December 15, 1863 Cynthia Ann’s daughter Topsannah died at age 5 from complications from influenza and pneumonia. Cynthia Ann subsequently died while living with her sister Orlena and her sister's husband, James Rufus O'Quinn, near Poyner, Henderson County, Texas. After finally surrendering in 1875 and settling on a reservation in southern Indian Territory, Quanah adopted agricultural methods, promoted education for his children and fellow Comanches. He prospered as both a farmer and the managing agent for business deals between white ranchers to lease the “Big Pasture,” a Comanche hunting area bordering the Red River. At one point he was considered the wealthiest Native American in North America. In 1886 he was appointed judge of the Court of Indian Affairs; by 1890 he was principal chief of all Comanche bands. He became a major figure in the peyote religion. In 1905, he rode beside Geronimo in the inaugural parade for President Theodore Roosevelt. He had at least seven wives. See Margaret Schmidt Hacker, Cynthia Ann Parker (El Paso, 1990). On Nov. 28, 1860. Wednesday. "Indians kill 21, ... one man in Parker Co. and scalped one woman ... Mrs. Sherman ... (scalped) shot (with) an arrow ..., left her alive naked on the prairie." [Diary of J. H. Baker]. Smythe incorrectly recorded the date as December, 1859 (Smythe, Sketch of Parker County. 131-33). Benjamin Crawford Dragoo (1835 Washington Co. Ill-1929 London, Tx) moved to Texas at age three. He grew up on the Navasota River next to Fort Parker and played with the Parker children who survived the raid on the fort (Hunter, Trail Drivers of Texas, 797). Peter Robertson (b. July 25, 1840 Hall Co., Ga) from McLennan County and Robert W. Gray (b. Vera, Knox Co., Tx) accompanied Dragoo. Dragoo's narrative is in Hugh D. Corwin, Comanche & Kiowa Captives, 52-54, 67 (Guthrie, 1959). Sul Ross' Rangers included Capt. J. M. Smith. Lieutenants: Tom Killiher; Somerville; Sublet. Privates: Charles Goodnight (see abundant literature); C. C. Slaughter; Kit Carter; George Lemley; Antonio Martinez; Francis Marion Peveler; Frank Cassidy; Benjamin Franklin Gholson. See Dallas Herald (June 19, 1875); Walter Prescott Webb, Handbook of Texas (Austin, 1951, 2, 685). Sgt. Spangler's Dragoons were a detachment from Co. H, 2nd U. S. Dragoons. They were stationed at Camp Cooper on the Clear Fork of the Brazos River, in Shackleford County. The camp commander was Lt. Col. Robert E. Lee. For more on the sergeant, see M. L. Crimmins, "First Sergeant John W. Spangler..." West Texas Historical Association Year Book 26 (October, 1950, 68-75). Cureton's volunteer rangers numbered about a hundred men. Besides the Hittson brothers, 2nd Lt. James Hamilton Baker, Hittson's deputy sheriff, James H. Chick (27 years-old, Indiana) was a cowboy for Joel McKee, his lost horse delayed the militia Rangers. J. H. Coffee, John Dalton (age 16, son of Mark Dalton), George Washington Dodson (age 22, Hittson's cousin), James Dulin (Hittson's hired hand, 23 years-old), Jack Flint (age 29, Oliver Loving's son-in-law), Calvin T. Hazlewood (35 years-old) B. B. Medders (age 27, sheriff of Palo Pinto County after Hittson), Vollintine Simons (age 22, Hittson's hired hand), Lt. Thomas Linaeus Stockton (age 27, Hittson's best friend), Peter Eldridge Slaughter (eldest son of G. W.)., Lt. James Buckner Berry and F. A. Ball (Hittson's lawyer). See list in Loftin, Trails Through Archer, 55; Cox, Historical & Biographical . 306, 653; Dallas Herald (Dec. 19, 1860); McConnell, West Texas Frontier 167, 174. For Ross’ remembering the recovery of Cynthia Ann Parker, see Dallas Herald June 19, 1875. 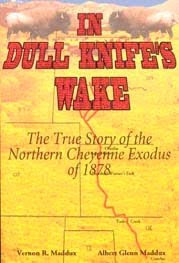 The Diary of J. H. Baker, December 19, 1860 mentions the discovery of Cynthia Ann as they sat around the campfires. Mrs. George Evans helped her husband handle the remounts for the Butterfield Stage depot near Camp Cooper. One of her sons was apparently Jesse Evans, the outlaw in Lincoln County, New Mexico, with Billy the Kid. 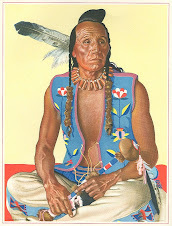 Peta Nocona, Petsa-no-ko-ni, was a revered headman, but not the chief of the Nocona Comanches. The Nocona meant "Wanderers." In revenge, Peta Nocona correctly concentrated his attacks on Palo Pinto, Young, and Jack counties. See Mayhall, The Kiowas; Hacker, Cynthia, 24. Many frontiersmen were Unionists. In February 1861 at the Texas Ordinance of Secession the vote was 14,697 against and 46,129 to leave the Union. Lamar, Fannin, Grayson, Collin, Cooke, Denton, Montague, Wise, Jack and Young counties, containing just over a tenth of the population, cast more than a fourth of the total votes against secession. However, Parker, Palo Pinto, Johnson, Erath, Comanche, Hamilton, Brown, Lampasas and San Saba voted 88% in favor of secession. The northwestern counties counted only slightly more than ten percent of their population in slaves as compared to a state average of almost 50 per cent. In Palo Pinto County, there were 107 votes for secession, none against. Floyd F. Ewing, Jr., "Origins of Unionist Sentiment on the West Texas Frontier," West Texas Historical Association Year Book, 32 (October, 1956: pp. 21-29). On March 17, 1861, the John Robert Baylor regiment organized in Weatherford, Texas. Hamner was elected captain and George Baylor initially became Hamner's First Lieutenant. Company H, 2nd Texas Cavalry (later called the Texas Mounted Riflemen) marched out of the frontier with Baylor at its head. In May in San Antonio, the two Baylor brothers were officially commissioned to the regular Confederate Army for three years. John Robert Baylor had his ups and downs but ended the war as a newly commissioned Brigadier General heading to Texas to recruit his brigade. His brother George ended the war under arrest for murder. See Kenneth A. Goldblatt, "The Defeat of Major I. Lynde, U.S.A." Password 15:1 (Spring, 1970), 16, 22. On February 21, 1861 U. S. Army Captain T. S. Carpenter surrendered Camp Cooper to Texas Colonel W. C. Dalrymple. Metz, Selman 27. Lawrence Sullivan "Sul" or "Sully" was a second son, the fourth child of Shapley Prince Ross and Catherine Fulkerson. Ross was born in Iowa but was raised on the frontier of Texas. He participated in three expeditions against the Indians in Texas and Indian Territory, once taking an arrow through his lung. He attended Baylor University at Independence, Tx, in 1856. The following year he attended Wesleyan University at Florence, Alabama (Mississippi?). In 1858, at age 20, Ross returned home and led 125 Indians in support of Major Earl Van Dorn, who took part of 2nd Dragoons against a Comanche village. Severely wounded in the battle (an arrow penetrated his lung), Ross returned and graduated from Wesleyan in 1859. One of the events for which he is most famous occurred in December, 1860. "[A]t the head of Pease river, as Captain of a company of sixty rangers, employed to guard the Western frontier, administered a blow that forever crushed the warlike Comanches [his force killed six women, two or three men and captured one woman and two children]. Immediately after the battle he claimed to have killed Peta Nocona, the last great Comanche chieftains (he changed his mind later) ... and restored to civilization Cynthia Ann Parker, who had been captured by the Comanches at Parker's Fort in 1836."